We continue our discussion with Robert Lance Snyder in advance of the release of his new book, John le Carré’s Post-Cold War Fiction. Jeff Quest: Le Carré has managed to stay relevant in a way that his other contemporaries still writing, like Frederick Forsyth or Charles McCarry, haven’t. McCarry in particular released a book just this year that read as vibrantly as his earlier work but made barely a splash. 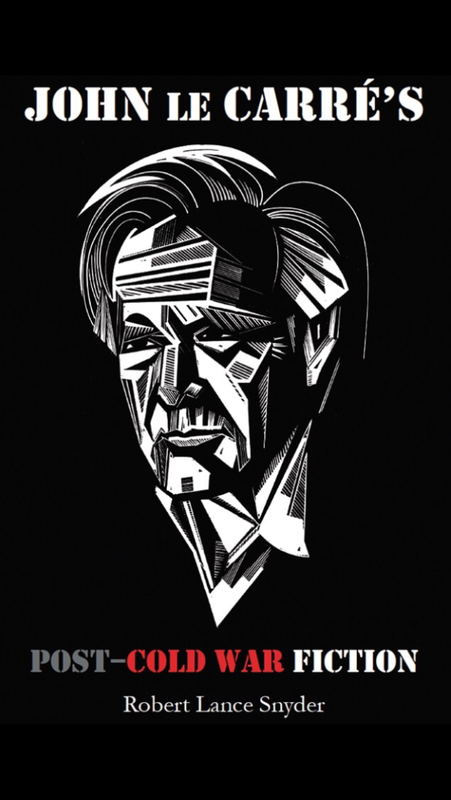 McCarry is also the rare example of the American “literary” spy novelist. I’ve previously mentioned a private luncheon held for Eric Ambler in the 1980s that had le Carré, Len Deighton, Frederick Forsyth, Kingsley Amis, John Gardner, Anthony Price, Gavin Lyall, Lionel Davidson, and a few others in attendance. It was basically a who’s who of the best of espionage fiction. In The Art of Indirection you write of the British “literary tradition” of espionage novels. Is there something essentially British about the spy novel that American authors can’t hope to capture? Robert Lance Snyder: That’s a wonderful but complex question. It also happens to be one that I am not qualified to answer because I am far from being as well versed as you are in American espionage fiction. My rough-cut hunch, though, is that there may be “something essentially British about the spy novel” if only because that nation’s literary history is so much longer and more diversified than our own. But that’s not quite what I mean either. If Kulturgeschichte, to use a compound German term, includes a rich array of artistic forms, all vying for attention and in implicit dialogue with one another given the historical moment, then espionage tales will proliferate during times like our own when the outdated concept of discrete nation-states is superseded by the phenomenon of transnationalism and all that has followed in its wake. JQ: I agree that Fesperman’s novel is a must-read for anyone who appreciates espionage fiction. In yet another layer, beyond the reference to le Carré, the book itself is written much more in the vein of Ambler, another master of British espionage fiction. It does appear that, similar to the OSS’s trying to learn from MI6 during World War II, American espionage authors are playing catch-up to their British counterparts. For both American and British authors, there is almost a subgenre of the spy novel made up of books written by former spies. In The Art of Indirection three of the six authors you discuss had espionage careers, with a fourth nearly being recruited into MI6. Do you find that such background makes for a more successful writer? RLS: I’m not sure that a firsthand knowledge of “tradecraft” by former or current spies necessarily makes them better writers. Too often as in the case of E. Howard Hunt, a CIA officer and fairly prolific author of spy tales before his conviction in the Watergate scandal, such expertise seems to incline them toward a thin topicality. It does make sense, however, that a career devoted to generating cover stories and fictional scenarios for the sake of expediency should prompt many real-life spooks to become writers. Rare, though, is the intelligence agent who, like Maugham in Ashenden (1928) or Greene in The Confidential Agent (1939) and Our Man in Havana (1958) or of course le Carré, can make something more of the genre—expose its element of imposture and self-betrayal. JQ: There seem to be a number of places you could start when studying le Carré. A thesis could probably be written on the names in The Night Manager alone (Roper being the term for the con artist who pulls a mark into the con, “a burr in the saddle,” and others you mention in The Art of Indirection.) Also, compared to other espionage writers, there is already a considerable amount of critical literature written on le Carré. Why did you decide to focus on the post-Cold War fiction of le Carré? RLS: The main reason was that only two books by John L. Cobbs (1998) and Myron J. Aronoff (2001) examined le Carré’s fiction through The Tailor of Panama (1996). Everything that le Carré had published thereafter was the subject of only a few scattered journal articles. My impression was that he deserved better. In particular, I was annoyed that few if any mainstream scholars seemed to respect the evolving coherence of his ten post-Cold War novels after The Secret Pilgrim (1990), particularly as they address the mired complexities of George W. Bush’s vaunted “War on Terror” in an age of transnationalism, surveillance, and globalization. Given these complexities, with which le Carré wrestles in all of his post-Cold War fiction, my study proposes that he is one of the preeminent ethicists in contemporary literature, given his concern for human rights and social justice. JQ: Which of his works from the 1990s onward do you find the most successful and why? RLS: I’m drawn in particular to The Constant Gardener (2001), Absolute Friends (2003), A Most Wanted Man (2008), and A Delicate Truth (2013). Each of these novels strikes me as being not only exceptionally nuanced but also unabashedly probing in its exploration of where we as Westerners find ourselves today. Ever since the U.S.-led invasion of Iraq in 2003 le Carré, both in his op-ed pieces and in his fiction, has become more stridently polemical, but that proclivity does not obscure the fact that in his post-Cold War fiction he consistently has been challenging the probity of all ideologically driven agendas in geopolitics. JQ: I’d agree with that. I would say that although his work between the end of the Cold War and the 2003 has some high points, the “War on Terror” seems to have galvanized his writing and provided a focus we hadn’t seen before. In particular A Most Wanted Man should sit with The Spy Who Came In from the Cold and Tinker, Tailor, Soldier, Spy as his best work. It really brings to a point the loss of perspective among the government and intelligence agencies that seemed to occur after 9/11. You can see a gradual shift over the course of Le Carré’s career out of his comfort zone. He slowly moved from private schools, espionage bureaucracy, locales like Bonn and autobiographical stories like The Naïve and Sentimental Lover and A Perfect Spy to books requiring research in the field. I’d say his research became the most noticeable in his post-Cold War fiction. Did you find a difference in his writing in the pre- and post-research phases of his career? RLS: Yes, though not so much stylistically, except for the post-Cold War fiction’s more polemical asides and interpolations. Le Carré remains true to his original gyroscope, I think, in tracking the manifold ways in which practiced deception misleads and ultimately betrays us, no matter what cause we choose to invoke as tactical “cover.” The fact that he persistently demolishes such pretenses or self-blinding excuses for personal accountability indicates to me that he is a mainstream novelist. Espionage in the end, as he has said on more than one occasion, is a metaphor for the ruses by which we deceive ourselves. Come back next week for the conclusion of our discussion with Dr. Snyder. We will discuss spy fiction in general, Fleming vs. le Carré, and the latest film adaptations of his works.